Gas Safety in schools – start em’ young! Kids in London are learning about gas safety thanks to new gas safety roadshows for schools, set up by the Gas Safe19 Charity and the Gas Safe Register. The workshops have been launched in response to the shocking statistics that one in seven London homes has an unsafe gas appliance and only one in 10 of London’s teachers educates children about the hazards of CO poisoning and explosions. Kicking off in our Northolt centre’s neighbouring borough of Hounslow, nine to eleven year olds at schools in the area are being educated about the dangers of unsafe gas appliances and gas leaks, including how to spot the warning signs of carbon monoxide poisoning. 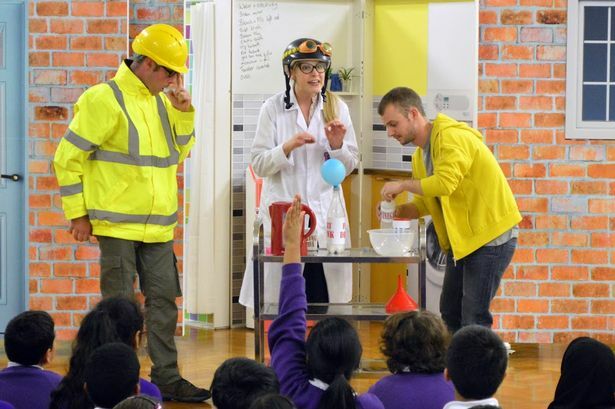 Springwell Junior and Ivybridge Primary schools were among the first in the country to receive a visit on November 27, when they watched a production explaining where gas comes from, how it can be used safely and what to watch out for. Gas poisoning and explosions have killed 31 people in the UK and injured more than 1,000 over the last three years, according to Gas Safe Register. Yet it says too few people regularly check their boilers and use legal Gas Safe registered engineers. An interactive virtual house, homework activities and a booklet for parents have also been created to accompany the roadshow, in the hope children will help pass on what they have learned to their parents. Spot the signs of a dangerous gas appliance – floppy yellow flames on cookers, black sooting around a gas appliance or excess condensation in the home. Look out for the six symptoms of carbon monoxide poisoning – feeling sick, headache, dizziness, loss of consciousness, short of breath and collapsing. The gas safety roadshow has kicked off in London, but is available nationwide should other schools be interested. Contact the Gas Safe Register via www.gassaferegister.co.uk for more information.